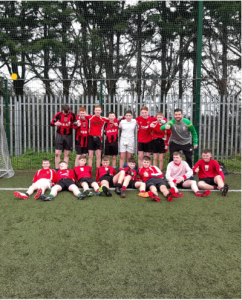 Congrats to the U14 boys Gaelic Football team who defeated St. Kevins by 8-9 to 0-10 in Wednesday’s quarter final. They now advance to the last four of the competition. Well done and thanks to Mr McGill for all the hard work!